University Professor; Fletcher Jones Professor of Computer Science; Professor of Biological Sciences, Biomedical Engineering, Electrical Engineering, Neuroscience and Psychology. University of Southern California. As an Emeritus Professor, Arbib will no longer be accepting new students. The thrust of Michael Arbib's work is expressed in the title of his first book, Brains, Machines and Mathematics (McGraw-Hill, 1964). The brain is not a computer in the current technological sense, but he has based his career on the argument that we can learn much about machines from studying brains, and much about brains from studying machines. He has thus always worked for an interdisciplinary environment in which computer scientists and engineers can talk to neuroscientists and cognitive scientists. His primary research focus is on the coordination of perception and action. This is tackled at two levels: via schema theory, which is applicable both in top-down analyses of brain function and human cognition as well as in studies of machine vision and robotics; and through the detailed analysis of neural networks, working closely with the experimental findings of neuroscientists on humans and monkeys. He is also engaged in research on the evolution of brain mechanisms for human language, pursuing the Mirror System Hypothesis that links language parity (the fact that what the speaker intends is roughly what the hearer understands) to the properties of the mirror system for grasping -- neurons active for both the execution and observation of actions -- to explain (amongst many other things) why human brains can acquire sign language as readily as speech. A new interest is working with architects to better understand the neuroscience of the architectural experience and to develop a new field of neuromorphic architecture, "brains for buildings". The author or editor of more than 40 books, Arbib's three most recent are "How the Brain Got Language" (2012), "Language, Music and the Brain: A Mysterious Relationship" (2013), and "From Neuron to Cognition via Computational Neuroscience" (2016, edited with James Bonaiuto). As an Emeritus Professor, Arbib will work in San Diego on two themes: the ABLE Project (linking Action, Brain, Language and Evolution) and exploring the linkage between neuroscience and architecture. The Publications list includes samples of work on these efforts. B.Sc. (Hons.) First Class Honours in Pure Mathematics, University of Sydney, Australia, 1960. Ph.D. Mathematics, Massachusetts Institute of Technology, 1963. Arbib, M. A. (2012). 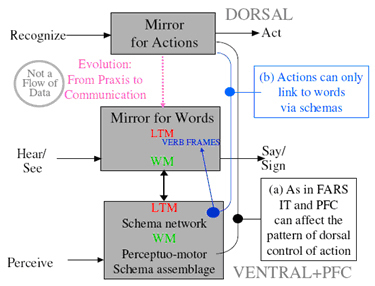 How the Brain Got Language: The Mirror System Hypothesis. New York & Oxford: Oxford University Press. Arbib, M. A., & Bonaiuto, J. J. (Eds.). (2016). From Neuron to Cognition via Computational Neuroscience. Cambridge, MA: The MIT Press. Arbib, M. A. (2016b). 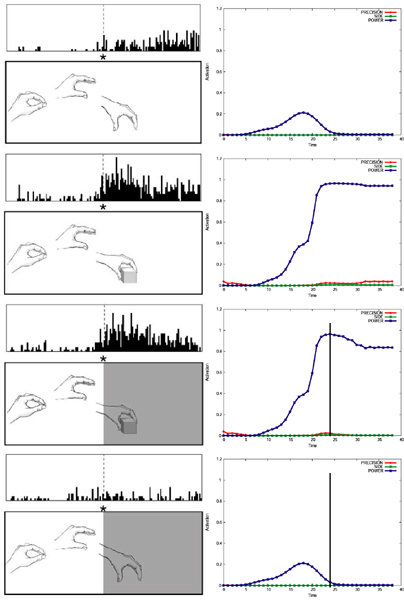 Towards a Computational Comparative Neuroprimatology: Framing the Language-Ready Brain. Physics of Life Reviews, 16, 1-54. Arbib, M. A. (2016). When Brains Design/Experience Buildings: Architectural Patterns for a Good Life. In J. W. Vasbinder & B. Z. GulyÃ¡s (Eds. ), Cultural Patterns and Neurocognitive Circuits (pp. 111-140). Singapore: World Scientific Publishers. Bonaiuto, J. J., & Arbib, M. A. (2010). Extending the mirror neuron system model, II: what did I just do? A new role for mirror neurons. Biol Cybern, 102(4), 341-359.